The number of potential sites for major wind farms in the Highlands have been cut from 11 to three in a blueprint for renewable energy schemes. Councillors at a special planning meeting on Wednesday voted to restrict the scale of sites. But the decision has left one councillor fearing Highland's energy strategy has become "confused". The sites earmarked are in East Sutherland, Easter Ross and the Monadhliath mountains, near Inverness. The decision to abandon several sites for large wind farm developments from the council's renewable energy blueprint was taken at a special meeting of the planning, development, Europe and tourism committee. Sandy Park, planning chairman, said the restrictions made sense. He said: "I think we came to a fair recommendation. "I think with all the smaller units, community units coming in, maybe individual turbines coming in, we have come to the right decision." Mr Park added: "We have got to take into consideration all the powers. "When offshore kicks in we are talking about a gigabite of power so we are really talking about a tremendous amount of power and we are not looking enought at biomass and other sources of power." Inverness councillor Jimmy Gray said he had "strong reservations" about the cuts. 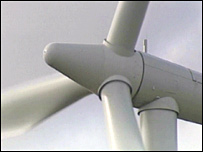 He said: "We set out on a basis that it was a council that supported renewable energy. "It's highly difficult whether we support renewable energy with that strategy." He added: "It's very, very restrictive on the basis we have recommended three areas. "I think the next point of contention will be the people who are affected by these three specific areas. "Two weeks ago we voted to oppose nuclear energy so we are in a position where we don't support nuclear and have questionable support on renewables. "So I'm not absolutely sure as a council what energy we do support. It's a bit confusing."